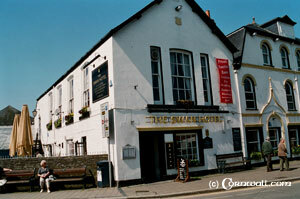 Wadebridge is a vibrant Market town on the River Camel with some fine buildings. 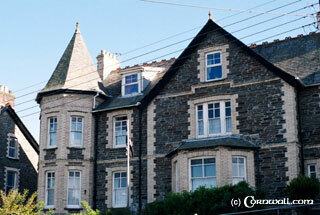 It is situated within easy reach of Padstow and is a good base to explore North Cornwall. The bridge itself joined two separate communities and was built built in 1468 by Thomas Lovibond with the money he made from the wool trade. The bridge is also rumoured to have been built on wool, as a way of stopping it sinking. One way or another, it was built on, or from wool and to commemorate it, one of the pubs is called "The Bridge on Wool". During the civil war, the bridge became a strategic point with the Roundheads capturing it. It is also the gateway to the Camel Trail which is 11 miles of traffic free pathway for walking, cycling or horse riding. The Royal Cornwall show, (an agricultural show) was originally a moving event alternating between different venues, but has been located permanently at Wadebridge since 1960.